This article has several messages I would like to discuss. 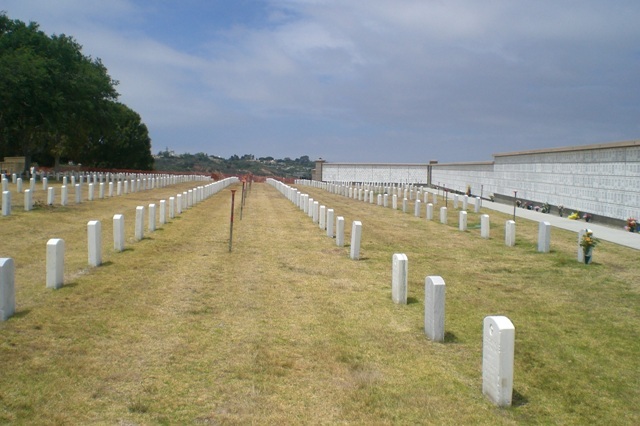 Last year I wrote about the deplorable condition of Ft. Rosecrans. 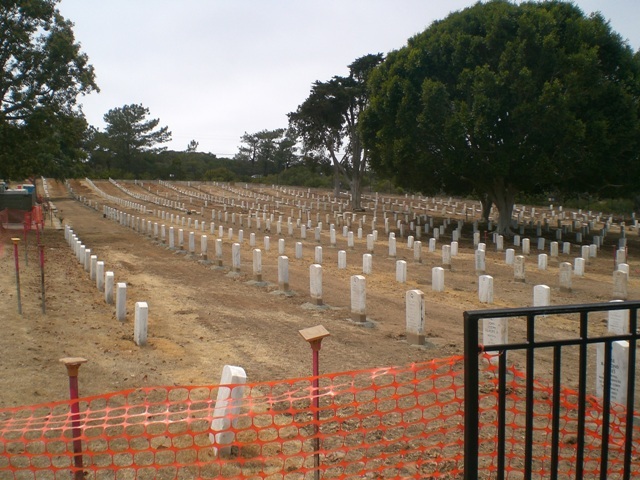 Just a few weeks ago I was quoted by the “editordude” in an article regarding the condition of Ft. Rosecrans during the Memorial Day holiday. To briefly recap that quote, several of the women from my widow support group went up to Ft. Rosecrans to visit our husbands. Even though we know they are not “there” – talking to them is no different than when they were with us – they don’t listen and they didn’t respond. However, whereas we used to be able to sit under a tree on the green grass and have a picnic, the green grass and the trees are gone. I answered her that I would go up to the cemetery later in the day to check it out. It must be pointed out that she was one of the widows that went with us on June 1st. I took a series of pictures when we were there originally; today, 8 days later, I took additional pictures. Do you see any improvement? Neither do I. The other aspect I want to point out in this article I never expected to happen. It was a very poignant time. Her friend was also surprised – and said that much more is owed to the American people than he ever knew about. I want to point out that she had been with me to Ft. Rosecrans several years ago when she was a student of mine. Bob had just recently passed away and since I took her to Cabrillo National Monument I asked her if she minded stopping by the cemetery on the way home. She agreed and was horrified when she saw the condition it is in now. I just can’t help but wonder how long it is going to take before the cemetery is something to be proud of again. After all, that will be my “home” someday also and right now I am ashamed of it. Maybe we need to have a congressional visitor or two come pay homage to the San Diegans that now reside there. And by the way – you won’t find the birds that used to nest in the trees – remember – no trees – but you can see the bird poop resting on the top of the iron markers that dot the cemetery. Shameful. Judi, thanks for keeping on top of this topic. 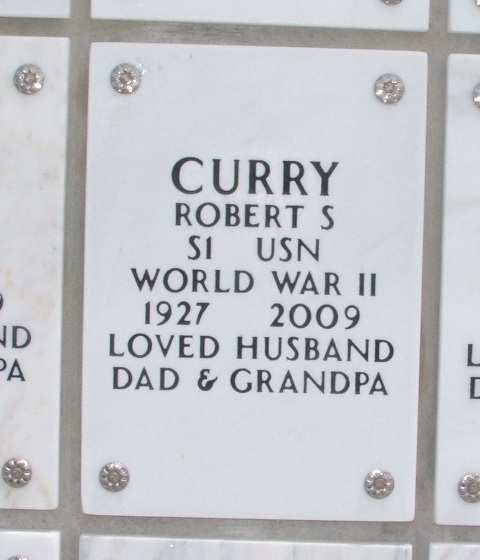 I too have a relative buried out there. On your second issue, our involvement in Korea, I too have myself with a compulsion to inform visiting Koreans of the fact that many Americans went there and died there during that war in the early Fifties. I have also read up on the history of that conflict and from Gen MacArthur on down the general ladder, it’s clear that it was shamefully executed. Our soldiers should not have gone, and there was so much human waste – American, Korean and Chinese that you’d think Americans and their policy makers would have remembered not to be militarily involved in a land war in Asia. But then during my youth, what happened? We again got involved in a land war in Asia – Vietnam – and more American lives were wasted – along with many more Vietnamese. Sir, under the present regime you are not permitted to read history. Please comport yourself properly. Forgot to mention that my dad, Army officer and then Major George Gormlie, served and survived Korea. Judi, As the widow who sent you the text messages about Ft. Rosecrans, I want to say again how much I appreciate your writing another article about this. It’s shocking to me that Ft. Rosecrans hasn’t fixed this problem yet. I hope & pray that they will soon. Thanks so much for your efforts, friendship, & support. Thanks Candy.After all, my husband is there too. 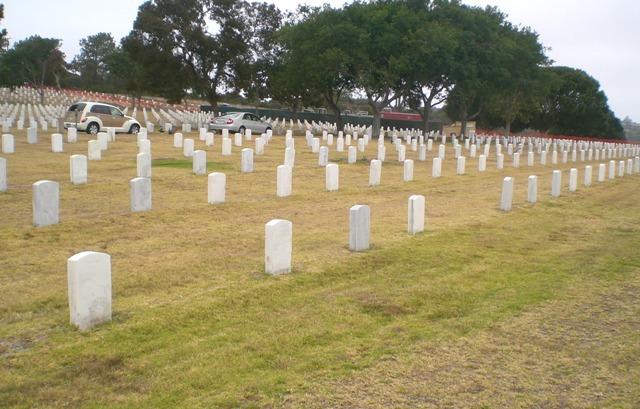 The state of affairs at Rosecrans cemetery is a shameful showing of disrespect and disgrace to our veterans who are buried there. As a 20-year U.S. Navy veteran I can remember a time when the cemetery was well-kept, a sad but loving memorial to those laid to rest there. Now, I am appalled and I call for Americans to take a stand and do whatever it takes to right this injustice! It is very depressing, Jenni. And it’s been that way for over a year! This is an American tragedy!! !